235 years ago this week, the United States Marine Corps was founded as an infantry unit aboard naval vessels. Widely regarded as an effective and fierce fighting force, the Marines are known for their pride in the Corps. And Legacy.com is proud to honor them through our Marines Legacies – a special tribute site with obituaries and Guest Books for more than 11,000 Marines. On Aug. 20, 1943, at the age of 17, L.E. Fletcher enlisted in the United States Marine Corps. He was sent to Camp Pendleton, San Diego, Calif., for basic training. After boot camp, he was selected to be a member of the elite Sea-Going Marines. These Marines were trained for duty at the White House, Foreign Embassy and aboard warships (as military police, guards, gunners and orderlies for captains and admiral. From 1943-1945, he was a Sea-Going Marine, assigned to the heavy cruiser USS Minneapolis. He participated in many major campaigns in the Pacific, including: Marshall Islands, Truk, Palau, Marianas, Saipan, Philippine Sea, Guam, Caroline Islands, Battle of Leyte Gulf, Lingayen Gulf, Bataan Corregidor and Okinawa. By the end of his tour of duty, Mr. Fletcher had achieved the rank of Corporal in the USMC and received his Expert Rifle Qualification. He was very proud to have been a Marine and to have served his country during World War II. 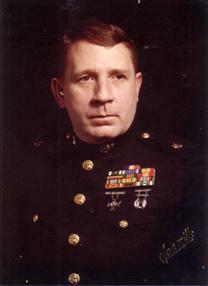 Franklin George “Pinkie” Pilkenton of Everett, WA, graduated from Everett High School in 1956 and then served in the U.S. Marine Corps until 1959. He, like his brothers, Brad and Paul, lived by the words, “Semper Fi” and “Once a Marine, always a Marine. Pinkie was a brick layer for 20 years. Over the years he worked at Scott Paper Mill, Snohomish County Jail, Private Security Firms and various other companies. An avid outdoorsman, he enjoyed boating, camping, hunting and all types of fishing. He was a loyal member of the Northwest Steelhead and Salmon Council, North-Shore Chapter for 35 years and served as President for several years. Pinkie was a huge NASCAR and Dale Earnhardt fan. 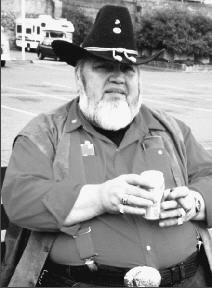 He loved watching westerns, listening to country music and going to live concerts and shows. Wendel R. Schuetz was a graduate of Coughlin High School, Class of 1948, where he was on the football and track teams. He was a veteran with the United States Navy. Immediately following he joined the Marine Corps and was promoted to Staff Sergeant, serving during the Korean War. He was a member of All Saints Parish, Plymouth. Prior to retirement, he was employed by the Wilkes-Barre Area School District and was the owner and operator of the Octagon Bar and Restaurant in Plymouth, for many years. Throughout his life, he greatly enjoyed spending time with his children and grandchildren, who meant the world to him. He had a great sense of humor and was an enthusiastic storyteller. Jason S. Burroughs enlisted in the US Marine Corps and attended Recruit training in Parris Island, SC. After graduation from recruit training, Jason reported to follow on schools at Camp Lejeune, NC and NAS Millington, TN for training as a CH-53D helicopter mechanic. Jason’s most recent duty station was MCB Hawaii where he was attached to MAG-24, and attached to the “Ugly Angels” of HMH-362. 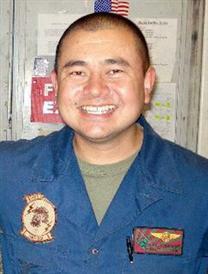 Jason proudly served the Marine Corps for eighteen years and deployed numerous times to the Middle East and Asia. Jason was on his second deployment to Iraq when he was diagnosed eighteen months ago with a Glioblastoma (brain tumor). To view more profiles and pay tribute, visit Legacy.com’s Marines Legacies. This entry was posted in In the News, Legacy.com Remembers and tagged Condolences, Obituaries, Tributes, Veterans. Bookmark the permalink.